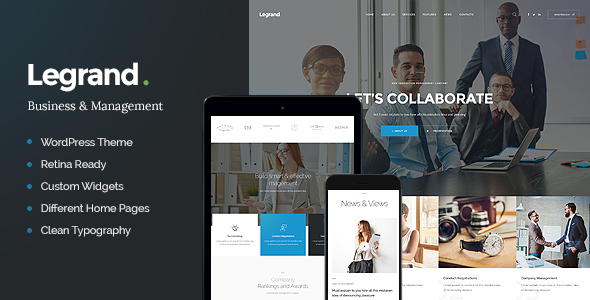 LeGrand – refined, clean, & fresh Multi-Purpose Business WP Theme is splendid & stylish solution for any contemporary business & corporate website. It’s flexible & perfect for law firm, financial company, tax consulting bureau, accounting services, strategy planning, web and creative agency, economist analytics, startup company, financial adviser, freelancer, lawyer, business coach, marketing and advertising services & analysis, for financial and investment consulting, etc. LeGrand is made compatible with WPBakery. It has solid business design and perfect layout to show off all your main tasks and offers. So it will perfectly work for: business blog, non-profit organization, business news & financial blog.